There are many permutations of technologies, interconnects and application level approaches in play with solid state storage today. It is becoming increasingly difficult to reason clearly about which problems are best solved by various permutations of these. 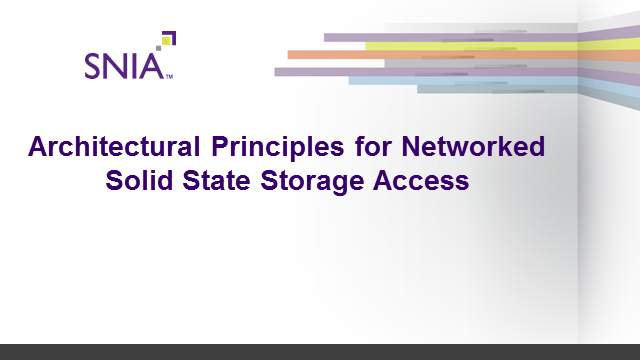 In this webcast Doug Voigt, chair of the SNIA NVM Programming model will outline key architectural principals that may allow us to think about the application of networked solid state technologies more systematically.